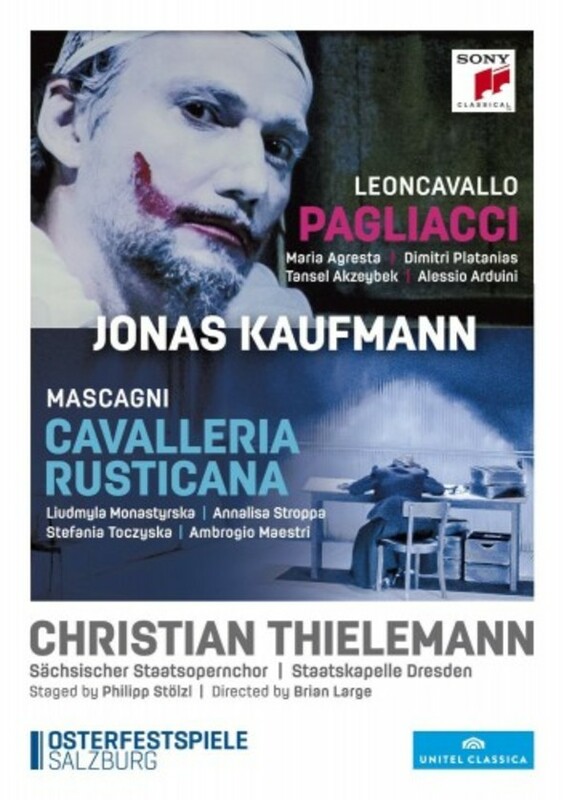 As comparably short operas Cavalleria rusticana and Pagliacci are often billed together, but seldom is the lead tenor making his double role debut as Turiddu and Canio on the same evening. At the 2015 Salzburg Easter Festival Jonas Kaufmann did just that - to rapturous praise. Universally hailed as a coup for Kaufmann, the plaudits were also showered on Philipp St�lzl for his innovative compartmentalized staging which included live video projections while referencing the era of black-and-white movies. The scene is set by film and opera director Philipp St�lzl, contributing to the performance�s huge fascination: St�lzl divides the stage into several levels, staging crowd scenes below, private feelings above � the latter projected with filmic close-ups � doubling and trebling the action. Productions like this, insists the Kurier, �simply must be described as worldclass�.